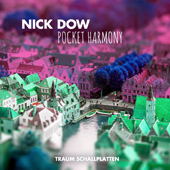 It is time for another release from our favorite Scottish artist Nick Dow. He has attracted remixes from the Traum family for his new release. We are happy to have Microtrauma back on board as well as French duo We Need Cracks. The other four artists are contributors on the Tour De Traum series and have all thrown their talent onto the originals. The originals, yes they are a bit more moody compared to the energetic last release. Nick lets the melodies swell and slumber… a light thunder stroking his trax. And Yes... we like that attitude... while having to fight with 30 degrees here in the Traum office. That applies to "Pocket Harmony", a track that draws on synths similar to "Insect Parade" but its overall feel is much more soothing, heart warming and keeps the fire burning for us. Is there a cat miaowing? A soulful track by Nick Dow! The title "Time To Dry" definitely correlates with its music showing weightiness but also moments of lightness, interacting with each other in a nice way. In the end this makes it a great mystic track with a super folkloristic edge to it. "Leap" is the most electronic downbeat track of Nick Dow so far and a nice grinding melancholic tune, with wailing and crawling synth sounds and heavy baselines. This one is for all of you who like the early Aphex Twin sound! Wonderful! Microtrauma have remixed "The Insect Parade" in a great way. The remix begins with blurred, dubbed out angel like sounds and then breaks down. What happens then can only be described as a second current of electricity joining the previous one. Turning the track upside down inserting the original synth sound but keeping it rather atmospheric and choosing other sounds as leading ones. All this is quite unbelievable and sounds as if it could never work... but it does. This is a great epos of music and we are happy to have them back. French duo We Need Cracks who have just recently released a fabulous release with Traum, have twisted "The Insect Parade" and have clad it in a glitter disco jacket fused with their own means of melancholy. Sounds great... is great. "Before The Feast" was remixed by Scottish soul mates Ariose who keep a nice understatement embroidered with an acoustic clattering, angel voices and a heavy grinding baseline. Hubert Kirchner has remixed the super dynamic peak time track "Armour Plated" into a deep sonic and spheric rocker using superb acoustics in the mix. This will sound great on a big PA for sure. Soulspace remix of "Armour Plated" holds the great aura of early Playhouse releases, which we always liked here at Traum. So we are great fans of this deep house interpretation! Macajey has remixed "Before The Feast" into a 119 BPM super day time — crawler. A great lush feeling, so funky and gentle it melts in your ears. 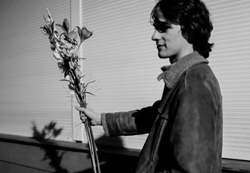 An enchanting remix from Tour De Traum participant Macajey.